It’s that time of year again! The leaves are falling and the fresh food that has spent the summer slowly maturing to its full and gloriously ripe potential is rolling onto the shelves. It is honestly my favourite time of year but lets be fair, as a person who is obsessed with food why wouldn’t it be? It’s a time when we start to consume warming stews and soul caressing roasted meats that are packed with the fruits of the British summer time, providing flora and fauna with ripening nourishment. However once a year a dark cloud looms heavily over the land as the date wheel strikes 31, the spirit of Halloween creeps across the woodland and the flicker of a thousand pumpkin lanterns twisted smirk’s illuminate the night sky… on October 31st the season of mischief is in full swing and to celebrate this epic arrival I have put together a recipe using the finest ale that the UK has to offer. 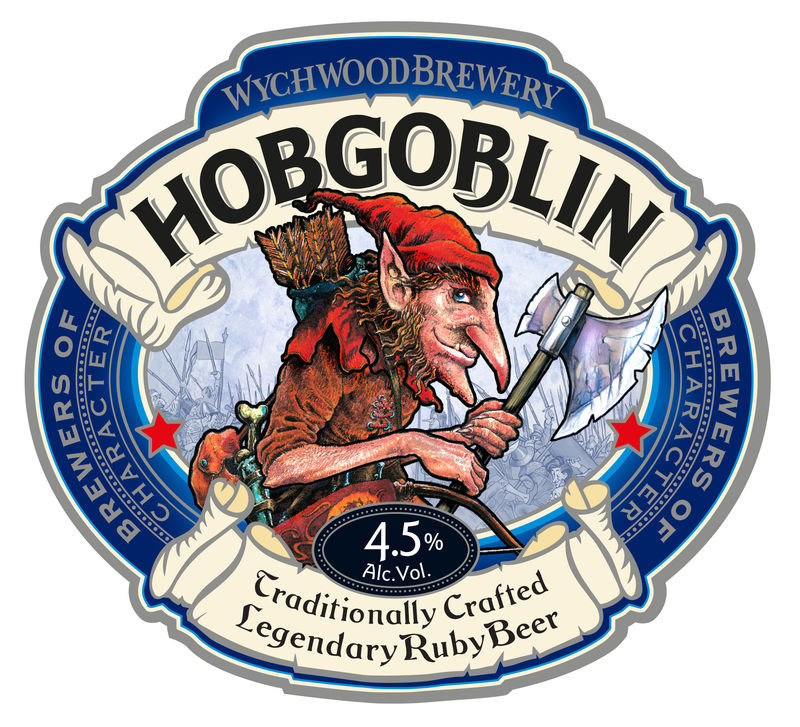 The unofficial king of Halloween, Wychwood’s Hobgoblin provides the ruby nectar that lifts this dish to new levels. 300ml beef stock, prepared in advance if your using stock cubes. Preheat your oven to 170 degrees. 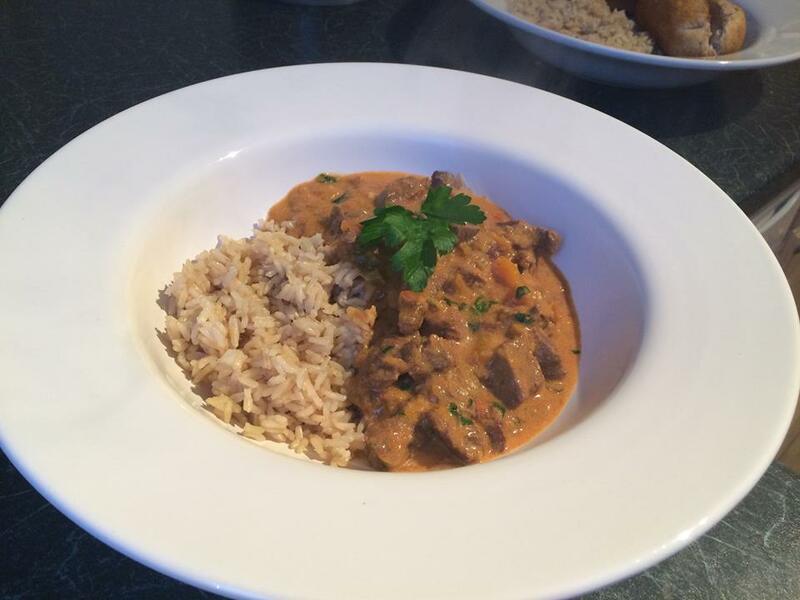 Heat 1 tablespoon of the oil in a large casserole dish or oven proof saucepan on the hob. Put the beef and flour into a bag and shake/ work well so all the beef is well coated. Add the meat to the pan and brown well all over, then remove and set aside. Add the remaining oil to the pan and throw in the onion, celery, squash, garlic, both peppers and fry until softened and the squash starts to brown. Add the beef back to the pan with the tomato puree and paprika and give it a good stir. Now is the time for the most vital part of this wicked recipe… crack open the bottle and add the Hobgoblin, stock and chopped tomatoes. Stir while on the heat for a minute or so then cover and bake in the oven for 1 hour and 30 minutes. Remove from the oven and stir in the parsley and the sour cream, season well and continue to stir until well combined. Serve with fresh bread and brown rice for a truly wholesome Halloween inspired autumnal treat! This entry was posted in Uncategorized and tagged ale, autumn, british, cooking, Food, goblin, goulash, halloween, hobgoblin, home cooked, kitchen, Recipe. Bookmark the permalink. Like Hungry buck on Facebook!